Well, I knew it would happen eventually, rain. 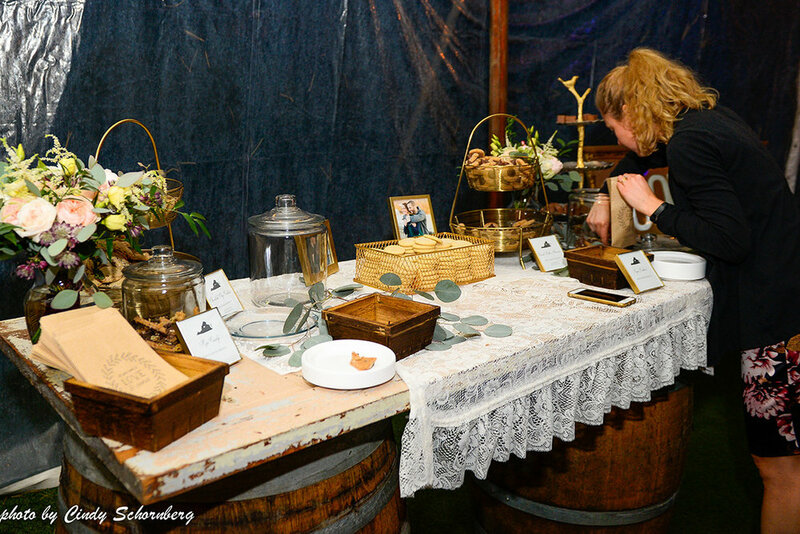 It is the one thing that anyone that is planning an outdoor wedding fears. Fortunately, Keswick Vineyards has a rain plan that works out just fine, even if you lose power! 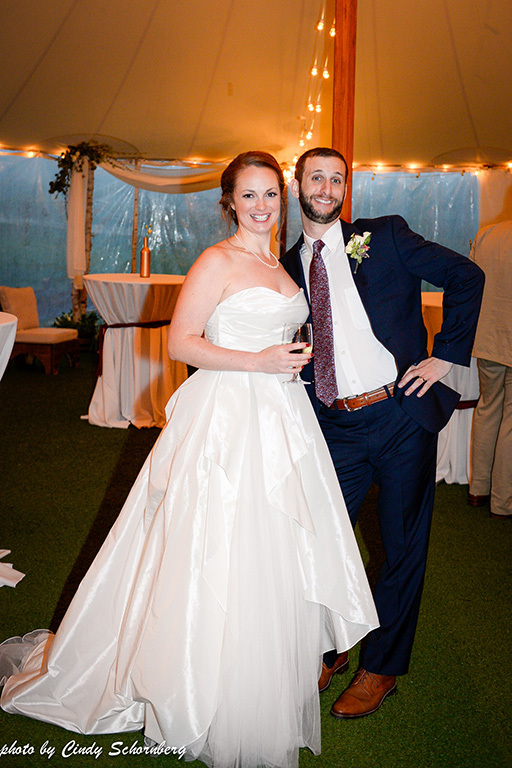 Yes, on Sunday, October 29th, Jennifer and Dustin were married at Keswick Vineyards. Only, mother Nature did not provide them with the beautiful fall day they hoped for. Instead, it was a cold, wet and windy day. So, what do our couples do when Mother Nature doesn’t give them a beautiful day? We do our rain plan and as you can see, it is still beautiful! Jennifer’s dad made a huppah for their ceremony. He brought the white birch used for this structure all the way from Maine. 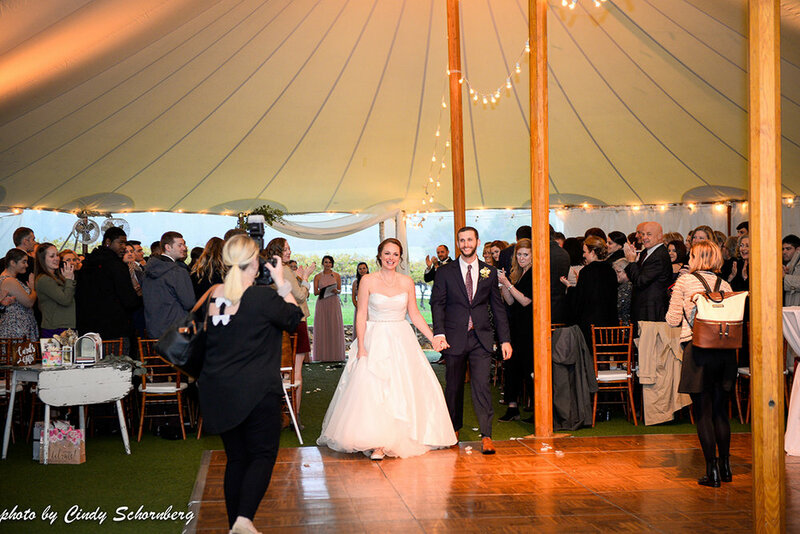 Jennifer and Dustin chose to split our Sperry tent in half providing one side for the ceremony and the other side for the reception. 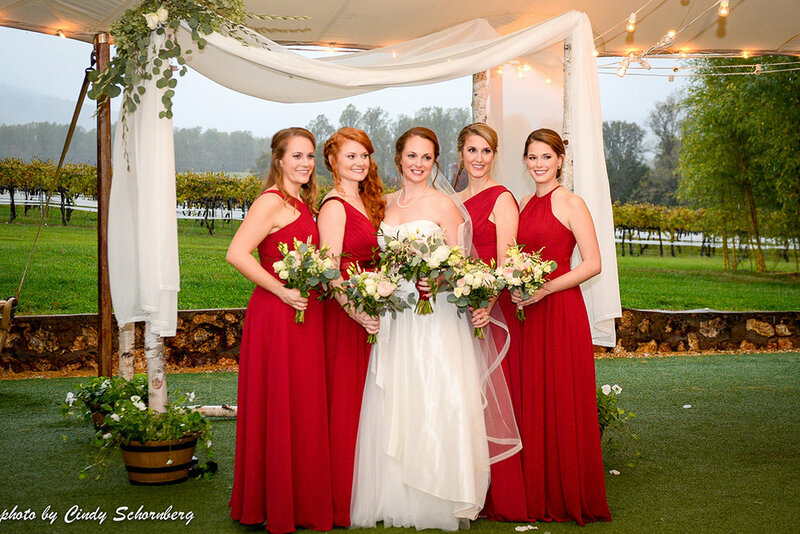 By doing this configuration, all the guests were able to sit comfortably under the tent facing the vineyard, essentially having the same view they would have had if the ceremony was outdoors. We removed the clear sides of the tent behind the huppah so their photos would still showcase the outdoors. 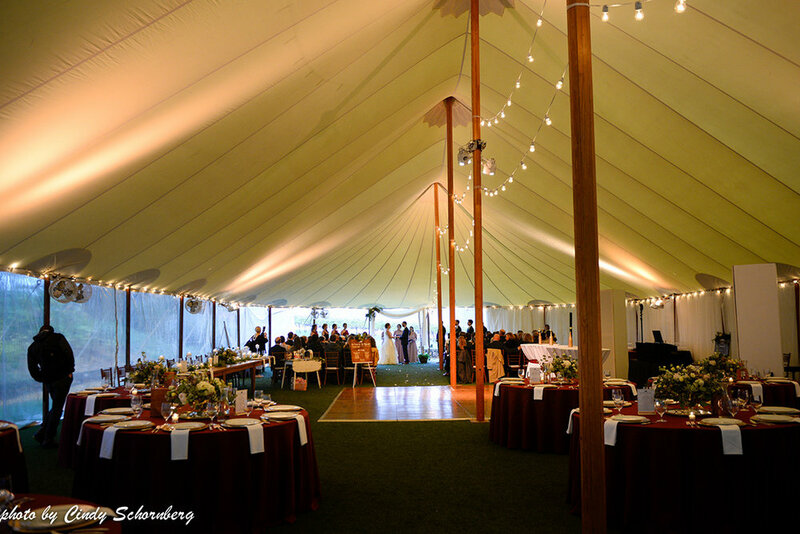 Once photos were done we put the sides back on to enclose the tent and start up the heaters to keep everyone warm. The winds that night caught everyone off guard. We knew it was going to rain all day but no one had forecasts the winds that were heading our way. Just as everyone made their way through the buffet line we lost power! This is the first time in 7 years for us to lose power in the middle of a wedding. Thankfully, we have generators! Immediately the carriage house was up and running so lights, water, toilets, etc. never really stopped. Under the tent, it took us about 5-10 minutes to get all the generators running and plugged everything into them. Once that was completed, the lights, heaters, music, etc. were back on and the wedding continued. Sometimes when your wedding day goes like this, it is one that everyone will remember. It might not have been your “dream” wedding, but it is still your wedding. The main thing is that you are now married. 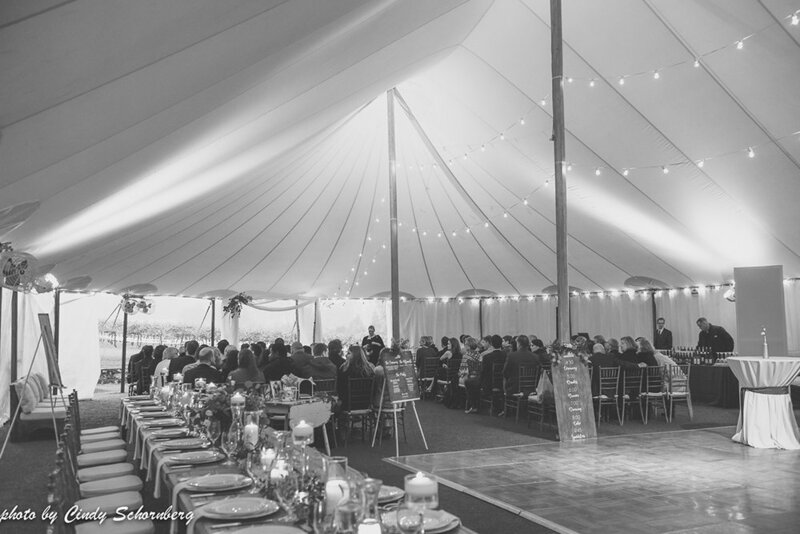 Couples booking an outdoor venue must be comfortable with the fact that Mother Nature may not give them that perfect weather day and be OK with that. If not, stick to an indoor venue. But, I think you can see by my photos, that this wedding was just as beautiful and that the couple still had a wonderful time along with their guests. 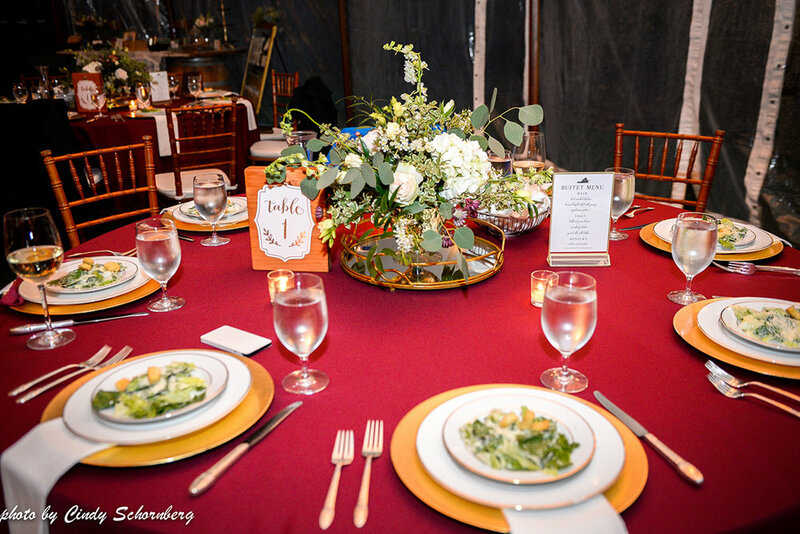 Wedding Planner & Florals: Logan Powell of Real Southern Accents, Catering: Goodrich Gourmet, Desserts: Shenandoah Sweets, DJ: Mark Allen of Class Productions DJ Service, Hair & Make-Up: Glo-out Glamour Bar, Rentals: Skyline Tent Company.